As I have shared in the past, traveling across the world presents some special and very unique challenges when weight limits are less than 40 pounds. In fact, I am fascinated by the fact that much of what we carry is often redundant to our experience. In years past, I have taken both too much and too little. Getting just the right balance takes some practice. Traveling minimally and well requires practice. Most of that practice can happen at home in a bedroom, packing and repacking clothing, gear, and etc. The thing is, however, we often make the same choices over and over again often refusing to limit the numbers of shirts, pants, or skirts we take along for the ride. My daughter says, “I need choices!” Exactly! Yet having too many choices can lead us to a more stressful experience once the travel has begun! The trick is to take exactly what you need and not one thing more. Literally not one thing more. I start with the best bag for travel. The one that I settled on is the EBAG. The site I use is www.ebags.com and it includes just about everything you need to pack efficiently. Similarly, I have used the web site One Bag to hone my packing skills. Combing these two sites and the information included, I have been able to pack well for a three week trip using one bag. The bag I use is the TLS Motherlode Weekender (yea, I know). Here is what this bag has that others do not…or at least, do not do as well: an outside front pocket for easy access to papers, journals, pens, etc. An inner sleeve for a laptop or other large electronic device. Top pocket for essentials. A single open space used for packing all clothing and etc. The other nice feature is that the backpack straps completely disappear in a inner pocket, making the bag easy to toss on the top of a bus or van when you have to make sure that your bag doesn’t get hung up on someone else’s luggage. Notice that FRONT pocket? Nice feature. Notice how the interior has a mesh pocket on top and straps with a central fabric divider….I’ve never used the divider, and it lays flat for packing. The key, however, to packing well is packing cubes. These lightweight, zippered containers make getting all of what you need IN the bag. Using this method of packing cubes, the right bag, and the one bag approach to packing, you CAN get what you need in a bag that is easy to carry anywhere, anytime. Can you see I’m already excited to get on the plane and head to Bhutan? I begin my packing process months in advance, knowing what weather I will encounter and getting any items I need to make the trip easy for me. As trip leader, that makes a huge difference in both my experience and the experience of my fellow travelers. Making sure I have what is necessary positively impacts everyone’s trip. For the longest time I have wanted to bicycle around Kyoto and this year the plan is set. Bicycling in Kyoto is one of the easiest ways to see the sights in the city and do it in such a way that you can be at street level everywhere. Traveling by bicycle, in any city, is a way to actually see more and experience more than by walking or bus. Here’s my reasoning; on a bicycle you can cover more ground than by walking AND since you are traveling a a reasonable speed, you have the chance to see what you are passing. By bus, the city flies by from street to street and it’s hard to be a part of knowing the city well. In Kyoto, our plan is to ride to each of the sights on the plan by bike. Our first ride will be from the bike rental shop on the Kamo-gawa River to Gingakuji Temple. 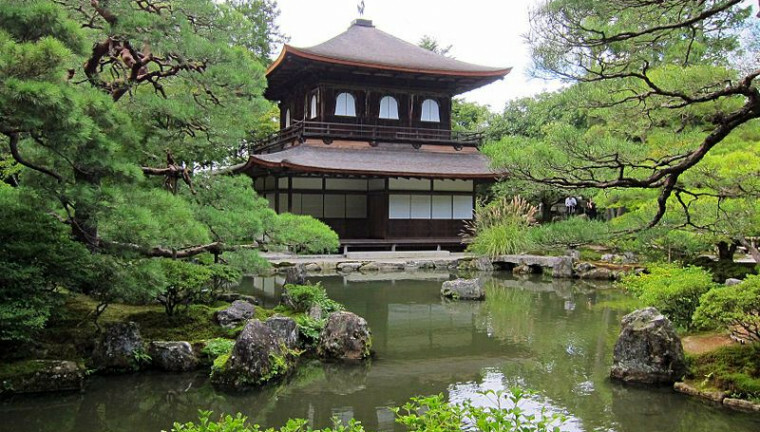 The park around the temple is wonderful and this trip gets our first step into traditional Japanese culture. 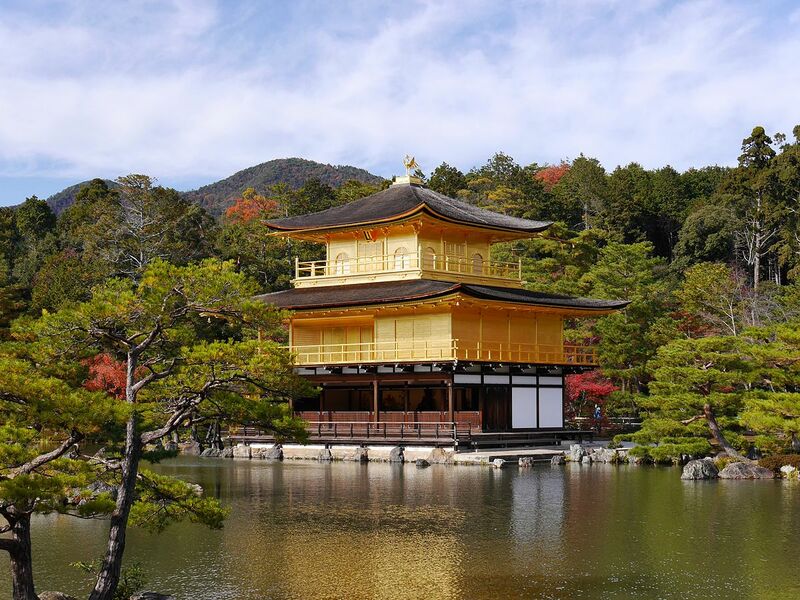 Our second excursion will take us around the city proper and to a series of locations including Nijo Castle, the home of the Shoguns, then on to the Hirano Shrine and along the road to the famous Kinkakuji Temple. 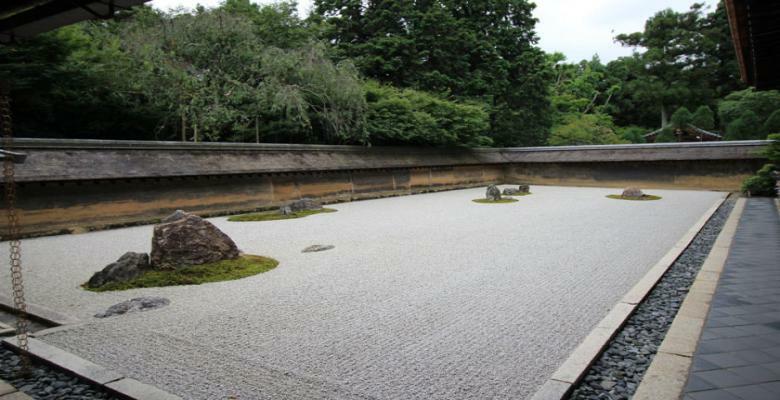 From Kinkaku-ji we head to the wonderful Ryoanji temple and rock garden. These sites are among the most visited in the city and are worth the time spent. Along the way we will stop for snacks and make a leisurely day of being in this remarkable city,.